Social media may be a hot topic in B2B marketing circles, but most of that buzz focuses on the role of social media advertising. Just listen to marketing guru Gary Vaynerchuk, perhaps the biggest champion for advertising on Facebook and other channels, who says that social media advertising is “grossly underpriced” and that companies have a window of opportunity to take advantage before big brands drive up the cost. All of which begs the question: what about organic? After all, as earned media, the “cost” of organic social is basically zero. And yet, at most B2B companies, social media is still relegated to a role loosely defined as awareness, community-building, or even PR. Precious few B2B marketers can show true ROI from organic social activity, and even less are using organic social media in a systematic way to either generate social leads or drive those leads through the demand generation funnel. Are B2B marketers ignoring a huge opportunity? I spoke to Daniel Kushner, CEO of B2B social media management platform company Oktopost, for his perspective. (HS) Social media advertising has taken off lately. Why aren’t more B2B companies making the same investment in organic social media? (DK) One factor is the new Facebook algorithm, which prioritizes friends’ content over that of companies, so organic reach on the largest social network has gone down dramatically. Coupled with the fact that it’s harder and harder to get audiences’ attention online, companies have come to believe that social media is a strictly pay-to-play arena, understandably so. However, that’s not necessarily true. In fact, one of our customers, a large global consultancy, recently compared the ROI of social ads with that of social advocacy. They discovered that while ads garnered a nearly 4% conversion rate, which is pretty high, advocacy garnered an almost 52% conversion rate, which is 12.5 times higher. So yes, paid social media can be an effective demand gen channel. However, given the right strategy, organic social can actually yield better results. (HS) How does Oktopost help companies capture engagement and ROI from organic social? (DK) Oktopost is a B2B social media management platform that enables marketers to build, measure and execute a social media strategy that caters to the specific needs of B2B marketers. Using Oktopost, B2B companies can manage and schedule large volumes of content, engage in conversations with their audience and track metrics such as CTR and conversions, as well as likes, shares, comments, etc. Our advanced analytics suite even goes into granular detail, such as the network, post and exact message which generated the clicks and conversions. 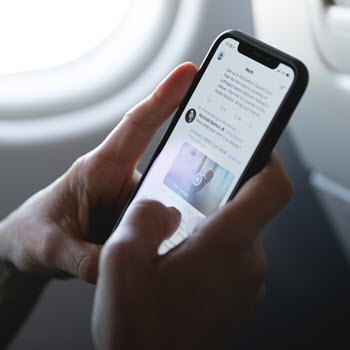 Beyond the ability to optimize social media strategy, this allows marketers to confidently demonstrate the value of any given social activity on the company’s bottom line. In addition, the platform integrates with leading marketing automation platforms, such as Eloqua, HubSpot, Marketo, and Pardot. By using this integration, our customers can use social engagement data to build highly targeted lead scoring, segmenting, nurturing and attribution programs. (HS) What’s the potential payoff from integrating social media into the demand gen mix? (DK) Social media is a critical component of the B2B buyer journey. Studies show that 55% of B2B buyers conduct their research on social networks, and that social media represents 84% of the influence on purchasing decisions among C-level and VP-level executives. The conclusion we should draw here is that social media has a critical part to play in buyer engagement, and that therefore there’s a huge opportunity to use social media to both identify potential buyers and to advance them through the demand generation funnel. Social media is no longer only a brand awareness channel. (HS) Where does advocacy marketing play a role here? How can companies make, for example, employee advocacy a measurable contributor to demand generation? (DK) Employee advocacy allows brands to amplify their social reach beyond their corporate profile to their employees’ networks. Advocacy also builds relationships and enhances trust with buyers – a recent Nielsen study showed that 83% of consumers trust recommendations from their peers over brands. This benefit is particularly significant when it comes to social selling. According to IBM, when a lead is generated through social selling or advocacy, that lead is 7X more likely to close compared to other lead gen tactics. (HS) How do you recommend that B2B companies process, respond to and nurture social leads? (DK) B2B marketers can capitalize on social engagement data to better understand a potential buyer’s needs, interests, and intent. These insights can then allow those marketers to create more personalized, targeted and (therefore) effective lead nurturing programs. For example, likes, shares, and clicks are all indications of a buyer’s content preference. If you construct different nurturing streams based on interests, capturing social engagement data will enable you to nurture leads with content tailored specifically to buyer preferences, which increases overall engagement. Another way to leverage social media is through lead scoring. If a buyer is shown to be engaging (clicking, liking, sharing) mid-funnel (MOFU) content such as case studies or product tutorials, for example, those actions can contribute to an overall lead score that determines sales-readiness. By incorporating social engagement data into their overall lead nurture strategy, a B2B marketer will have a more precise picture of a specific buyer, and be able to deliver more relevant content to advance that buyer along the sales cycle.